The Smithsonian Institution has two museums of Asian art: the Freer Gallery of Art and the Arthur M. Sackler Gallery. 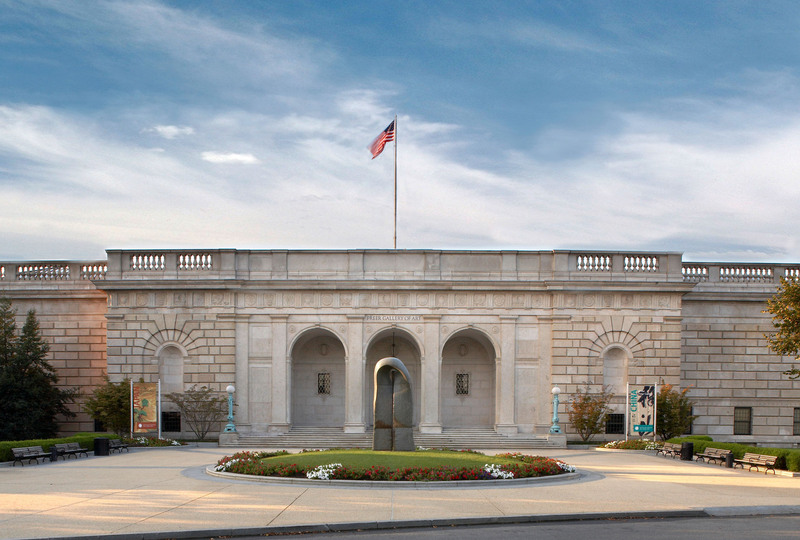 The Freer Gallery houses one of the premier collections of Asian art, with objects dating from Neolithic times to the early 20th century, as well as the world's most important collection of works by James McNeill Whistler. Chinese paintings, Indian sculpture; Islamic painting and metalware; Japanese lacquer; Korean ceramics; American Art from the late 19th-century aesthetic movement; Whistler’s Peacock Room. Fragment of stone. Carving in low relief on one face; incised inscription on the other.